It has been one month and eight days since my last post. I am about 20 posts behind and I figure the only way to catch up is to get straight to the point. 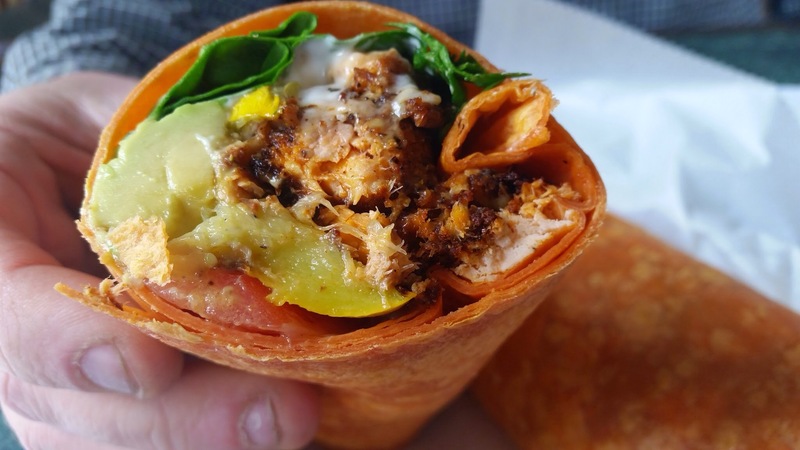 Wraps and Things resides at the corner of Palmer and Larchmont Ave in Larchmont, NY. When I was a full-time mom and my child went to the French American School of New York, I used to go there with fellow moms. Never found it great until my recent visit. They don’t have a web site and rely on the kindness of Google+, Yelp and UrbanSpoon. It’s a very small location with only 4-5 tables. It’s mostly a take out joint. 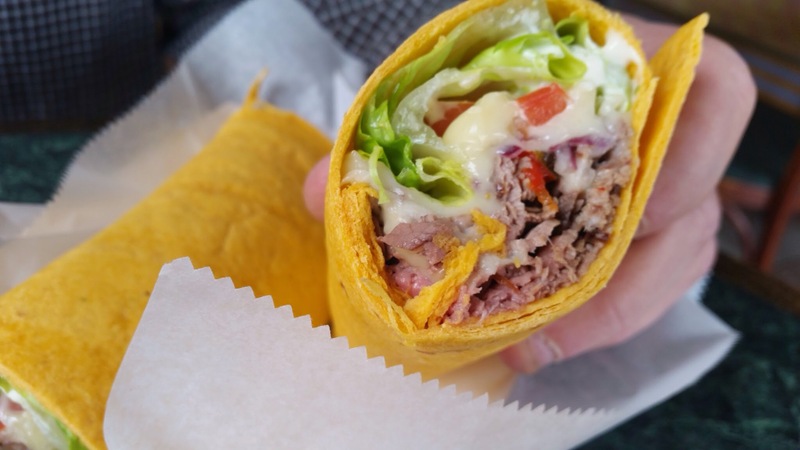 This is the $6.50 Roast Beef with Swiss cheese, Russian salad dressing, sun-dried tomatoes, green-leaf lettuce on a flour tortilla. This is the special that day. Blacked salmon, avocado, spinach, squash and tomatoes on jalapeño tortilla. I don’t remember how much it was (this was back in early April), maybe $8? These two wraps did not sound special. I was skeptical when my drummer friend, Joe, decided to go there for lunch. Not until I re-experienced the wraps did I realize how fresh the ingredients were. That was what made the wraps excellent. But you should figure out what you like though. 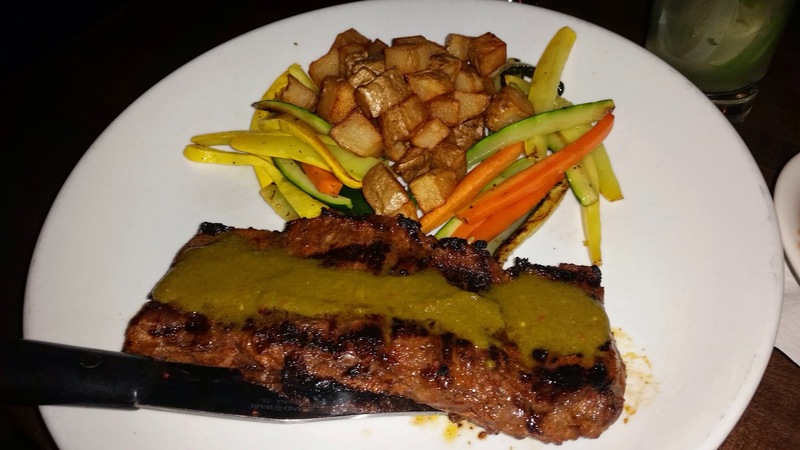 Joe’s favorite – the roast beef was not such a great match for me. But the blackened salmon was a perfect match for me. 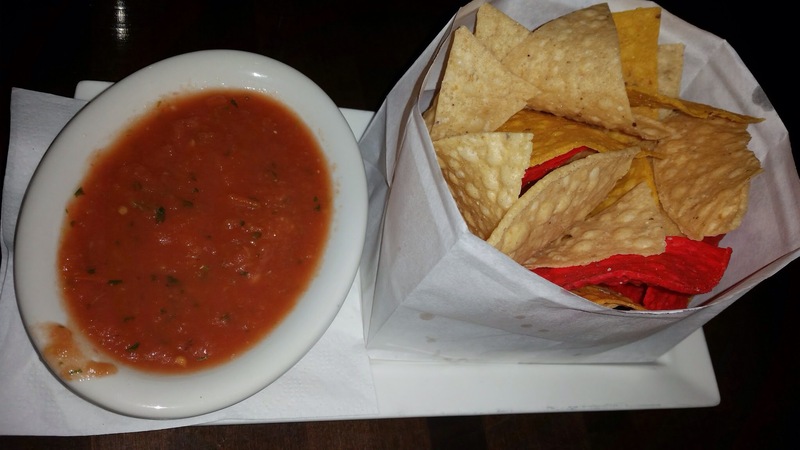 I would love to have the kick from the jalapeño everyday. 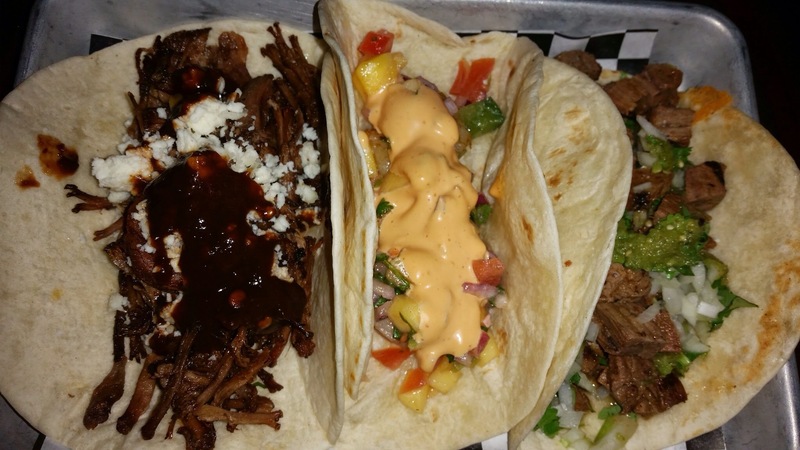 Bottom line, good fresh ingredients. Find your wrap. It’s worth the drive. This is my first entry in February, after a month-long absence. I hope all my readers have missed me terribly and have been out eating on my behalf. I know I have – some exciting posts coming up! 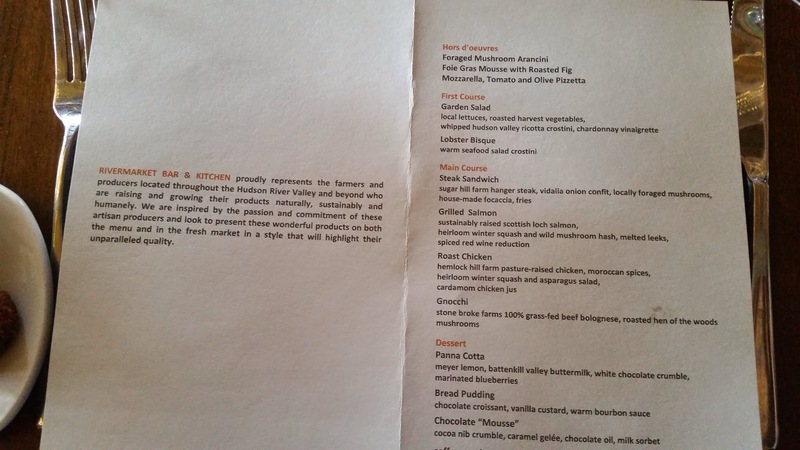 Back in January, my CMO took the entire department out for a post holiday luncheon at the RiverMarket Bar and Kitchen in Tarrytown, NY. 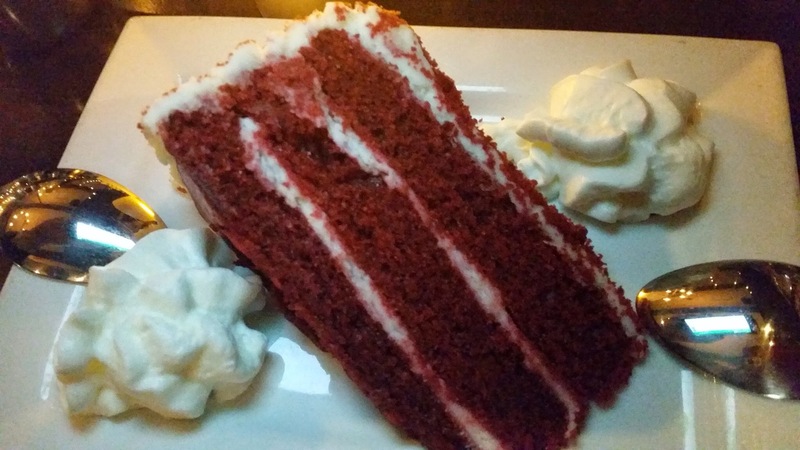 This restaurant is located closed to the Hudson River and has a great view of the river from the dinning room. 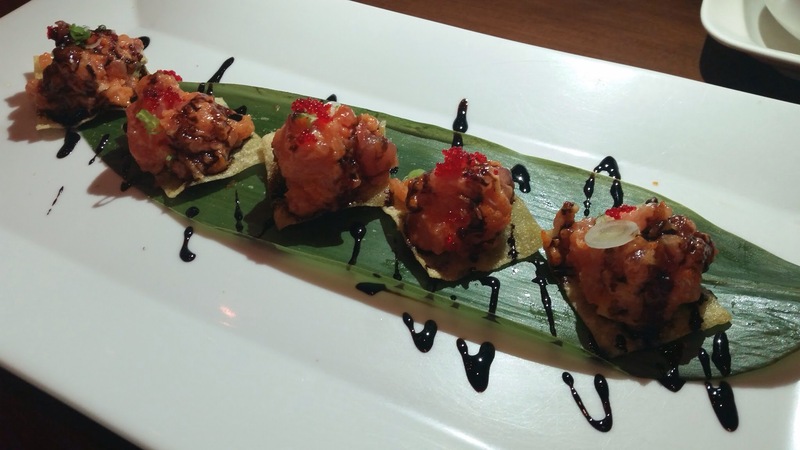 #HudsonRiverView The food is #NewAmericanCuisine that appeals to both the common and the slightly snobby. I count myself in the middle of that spectrum but according my BBFs at work, I am at the far end of the snobby when it comes to food. I feel rather misunderstood. A menu especially picked for our department. Great job, Andrea and Kerri. This is one of the Hors d’oeuvres: mozzarella, tomato and olive pizzetta. Mmm. Just ok. 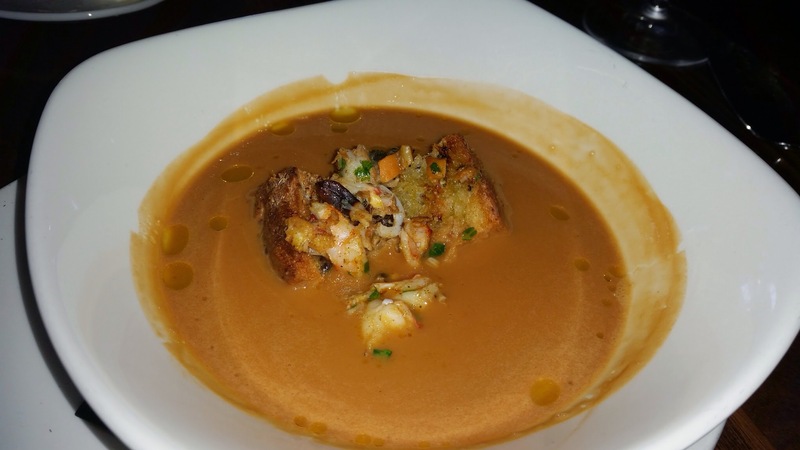 Lobster Bisque with warm seafood salad crostini. The bisque tasted watery (in a good way) and filled with sea flavors. There is a bit of saffron in the soup. Pieces of lobster and the crostini added texture and substance. 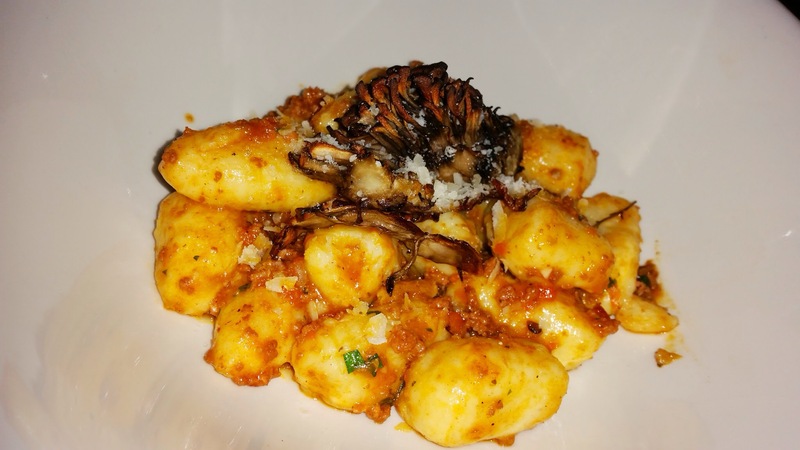 This is the Gnocchi or according to my CMO – “Yoncchi.” Gnocchi with Stone Broke Farm’s 100% grass-fed beef bolognese, roasted hen of the woods mushrooms. 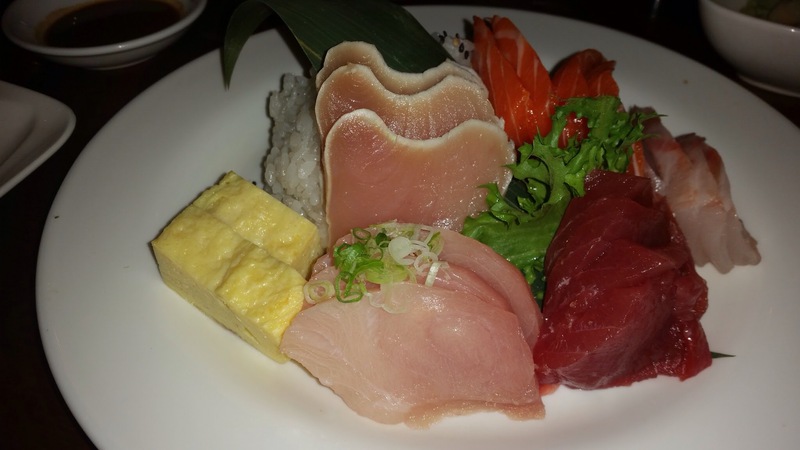 Other than the witty banter I had on the “yoncchi,” this dish was completely not redeemable. The texture was weird. It felt like I was eating cardboard instead of a carbohydrate. 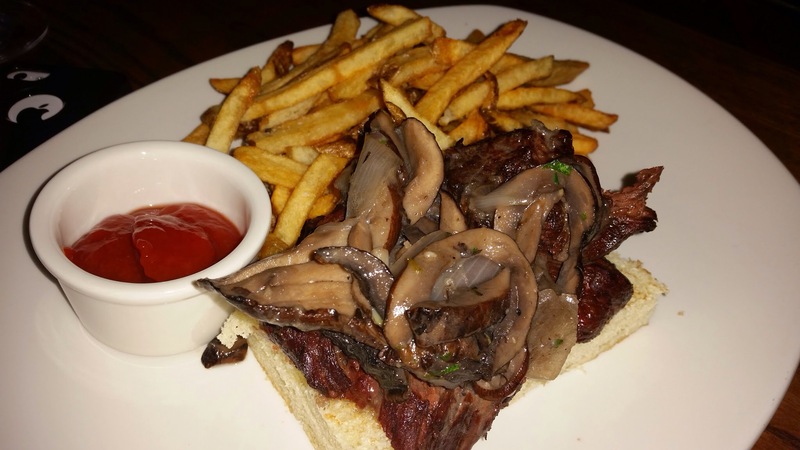 Steak Sandwich with Sugar Hill Farm hanger stake, vidalia onion with confit, locally foraged mushrooms, house-made focaccia, and fries. I chuckled at this menu description. I wondered if the restaurant foraged the mushrooms right outside near the Hudson River, next to the parking lot where homeless men pee. This is marketing that has gone too far and too bohemian. 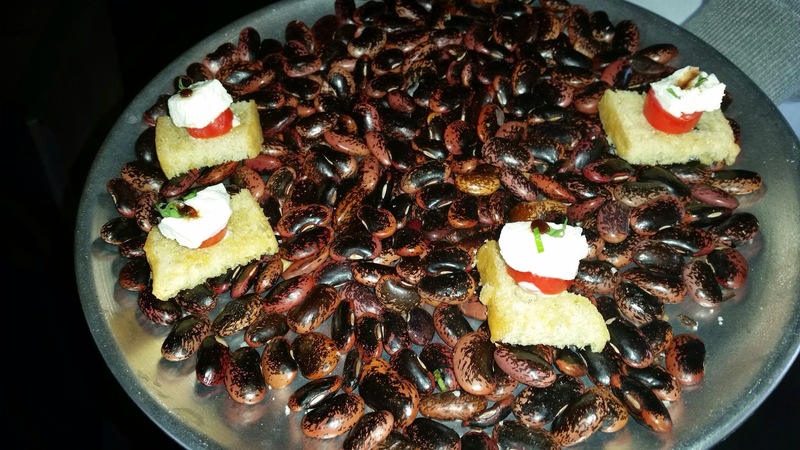 According to my peeps who had this dish, it was delish – not a verifiable fact since not all tasters are created equal. Panna Cotta with Meyer lemon, Battenkill Valley buttermilk, white chocolate crumble, marinated blueberries. Passable but not great. Too sweet and the sweetness drowned out any subtlty from the berries or the lemon. This is a 5 out of 10. 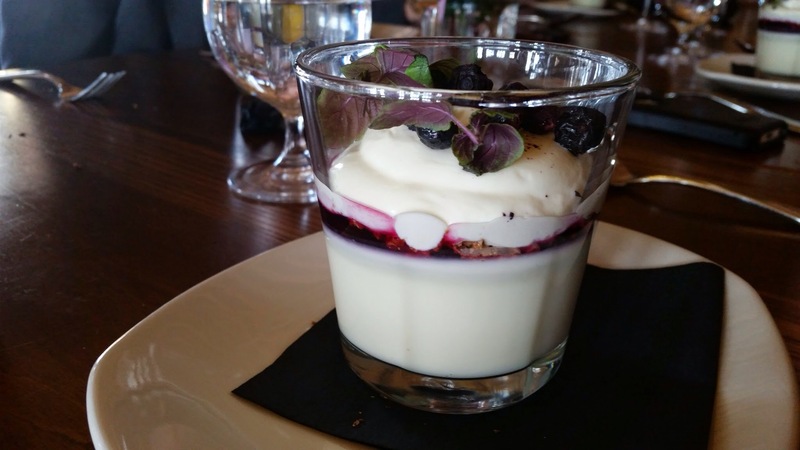 For a better panna cotta with berry experience, click here. 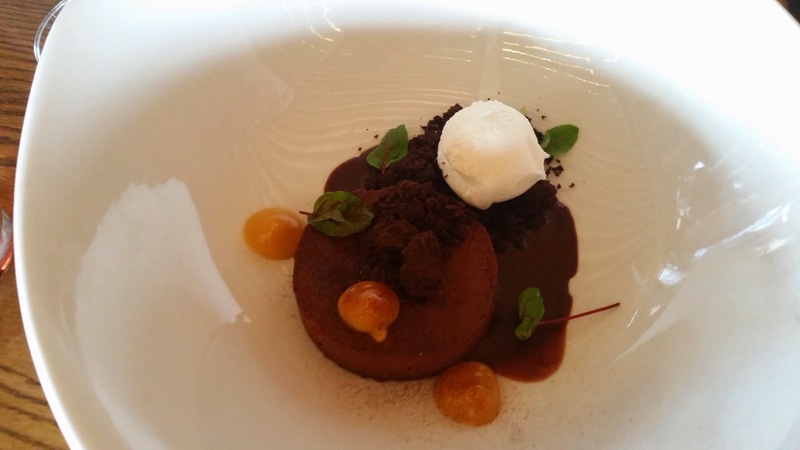 Chocolate “Mousse” with cocoa nib crumble, caramel gelée, chocolate oil, and milk sorbet. 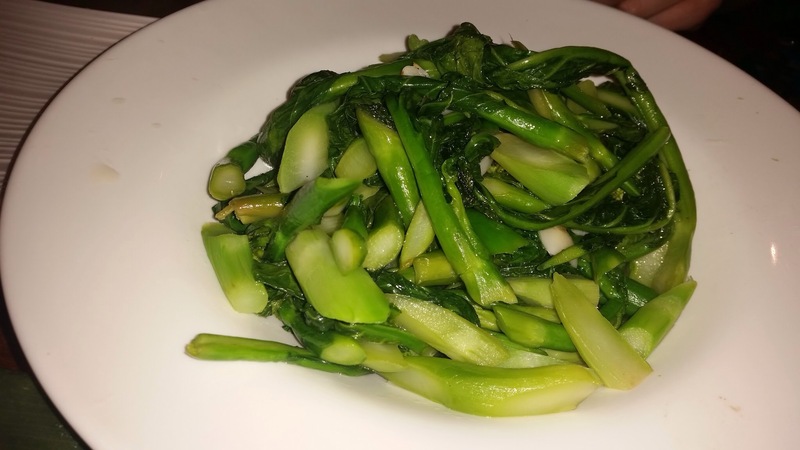 Looks good in the photo, right? The eaters rated it a 3 out of 10. Ouch. Double ouch. 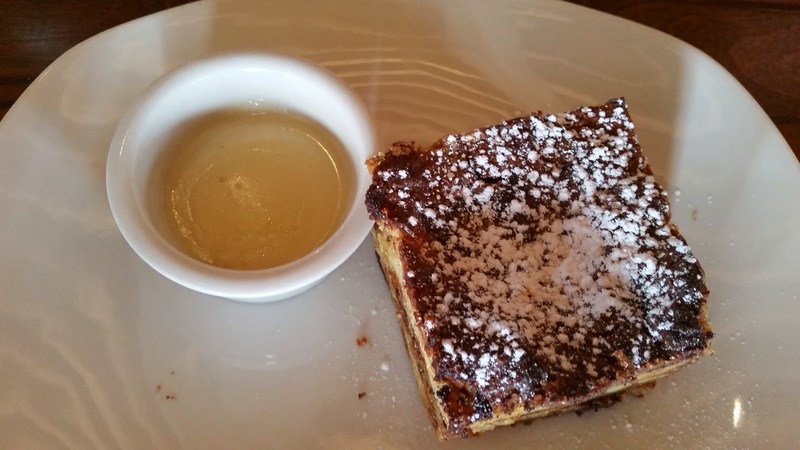 Bread Pudding with chocolate croissant, vanilla custard, warm bourbon sauce. This is rated a 6 or 7 by Dave who loves his mom’s bread pudding. But thanks to Dave, I had partook in his pudding and I rated this solidly a 7 or 8 on a scale of 10. A friend and I went to a Barque concert by Baroque Orchestra of Maine in Pleasantville, NY. Afterwards, we took a short walk to the Little Crêpe Street and Little Mumbai Market in town, where French Crêpes intersect with Indian street food. 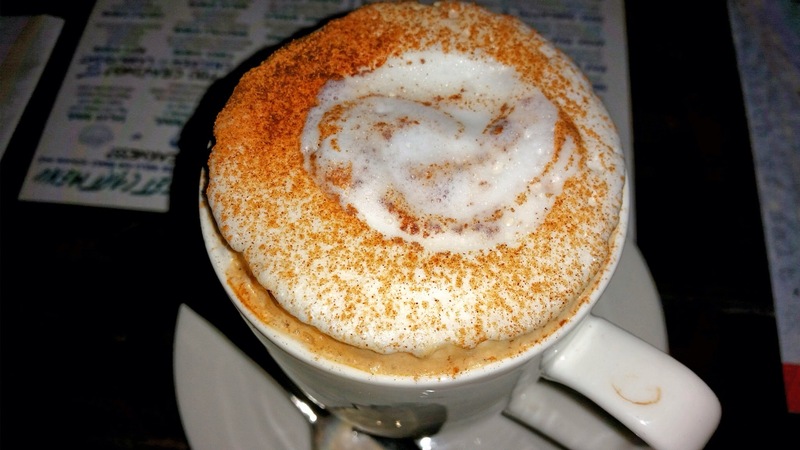 The owner of the establishment also has the Little Crêpe Street, Little Kabab Station and Little Spice Bazaar restaurant and shop in Mount Kisco, NY; another combination of the French Crêpes and Indian food. 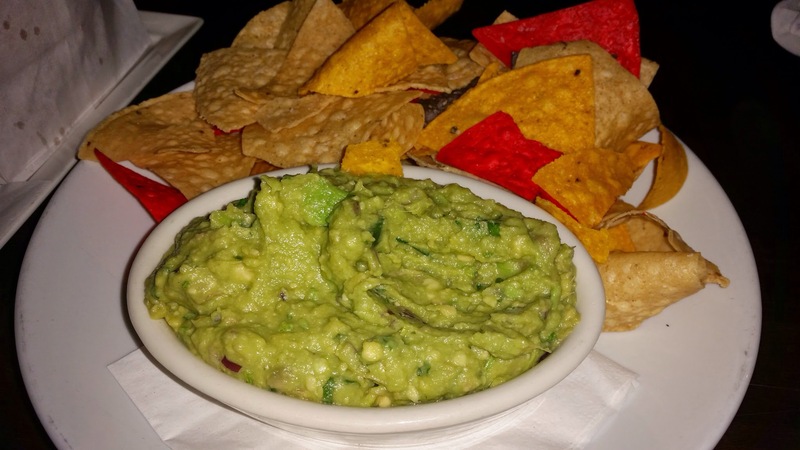 See my last review for the Mount Kisco location, click here. The Mumbai street food approach for the Little Mumbai Market was what drew me in. There are many items that I am unfamiliar with! 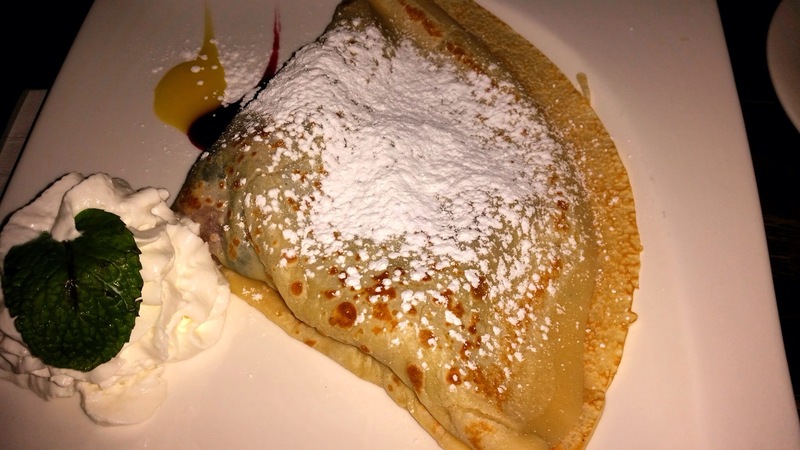 The dessert crêpe is what drew my friend in. Not only did she enjoy her food, she also left the restaurant with 3 orders of crêpes for her family! Hot chocolate with a marshmallow. 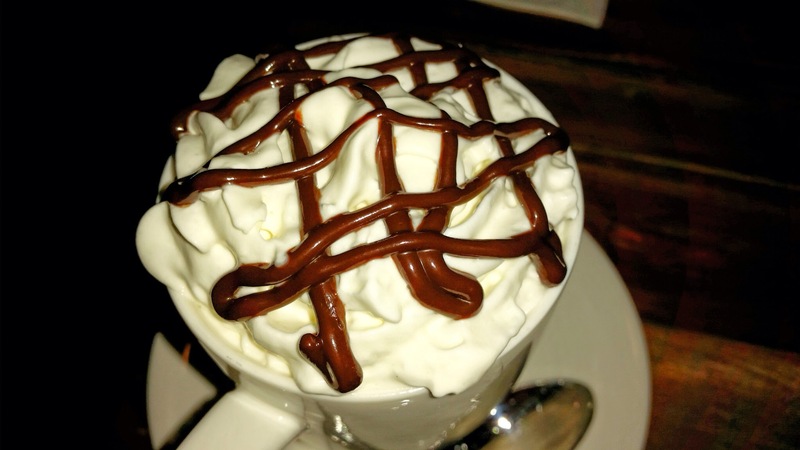 Loved the whipped cream and the marshmallow hidden within the whipped cream. Keema Pav: Minced lamb, roasted spices. Served with buttered pav bread. I like lamb with strong spices. 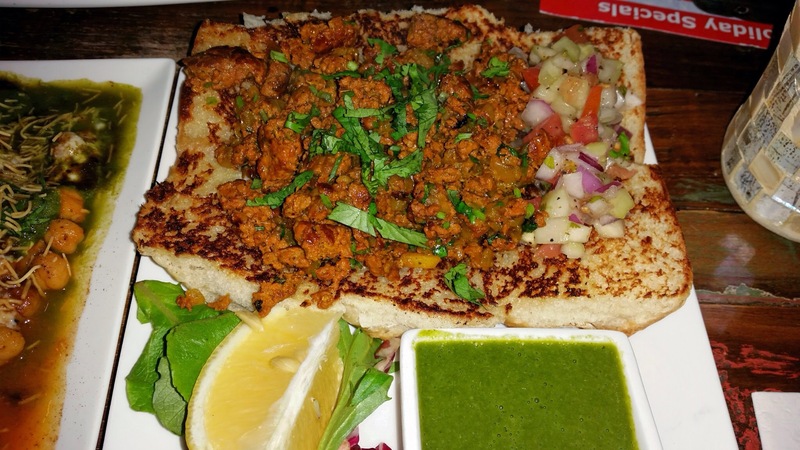 I found this Keema Pav to be right up my alley and tasty. I actually don’t need the pav bread. I also took it home and ate it for breakfast. Deconstructed Samosa: samosa, chickpeas, yogurt, tamarind chutney, mint chutney. It looked messy and drowning in weird colored sauce. It is too inside out for my taste. The fried bread underneath the sauce was damp and flat. Not a fan of the fried samosa under all that sauce. However, if you can get past the fried/damp combo, then the sauce and the deconstruction were very well executed. The chickpeas, separately, were good. 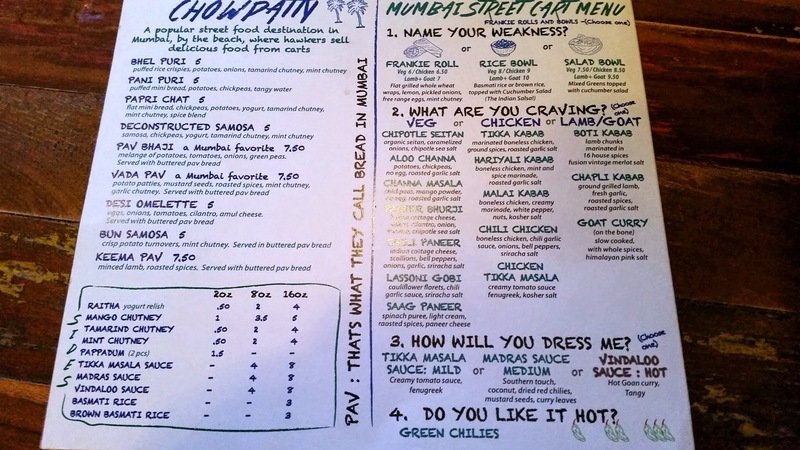 The Little Mumbai Market Street food menu. 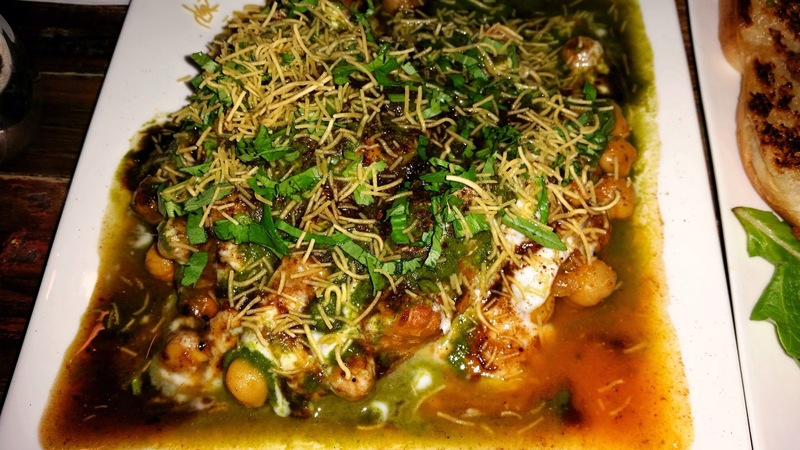 Overall, it’s satisfactory and I will return to sample more Indian street food. I may even try the crêpes now that I have forgotten what real crêpes should taste like. Have you ever felt a yearning when you first wake up in the morning? May not be able to identify what it is exactly and we go through the day trying different things to satisfy or quiet that hunger. That’s what happened while I was upstate with my sister’s family in Accord, NY, for the holidays. I looked for caffeine as the first option in the rented farm-house. Found nothing in the well-stocked kitchen. Then I went for a walk with my sister, nephew and my daughter. A nice long walk coupled with an intimate conversation produced enough endorphins to keep me satiated and temporarily assuage the yearning. However, not until we got to Lydia’s Country Kitchen and Cafe in Stone Ridge, NY for brunch, did I realize what my body really wanted. The entire family mobbed the coffee and hot chocolate counter at Lydia’s. The three generations lined up in front of the counter with zeal, grabbing plastic cups to fill in various brown liquids. Ha! All addicted to caffeine, the world’s most widely used psychoactive drug. 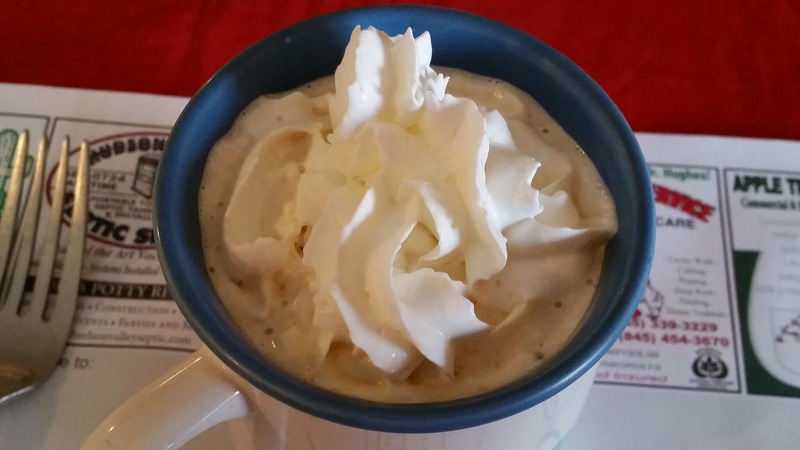 I never put whipped cream in my coffee. This was the first time. Honestly, I don’t think the coffee was anything special but because of my mental state, I believed it was the best thing on earth at that moment in time. Completely serene although it was short-lived. Perhaps this is how first time is for everything. 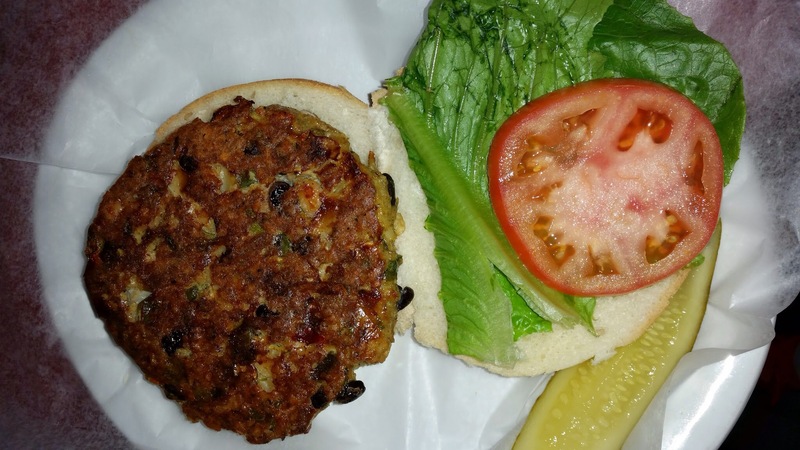 Veggie Burger – on a hard roll with lettuce, tomato & onions. Does not look interesting. The plating lacked imagination. The food at Lydia’s is very main stream American – a composition of burgers, meat, and sandwiches. Our group ordered a lot of fried food as you will see below. 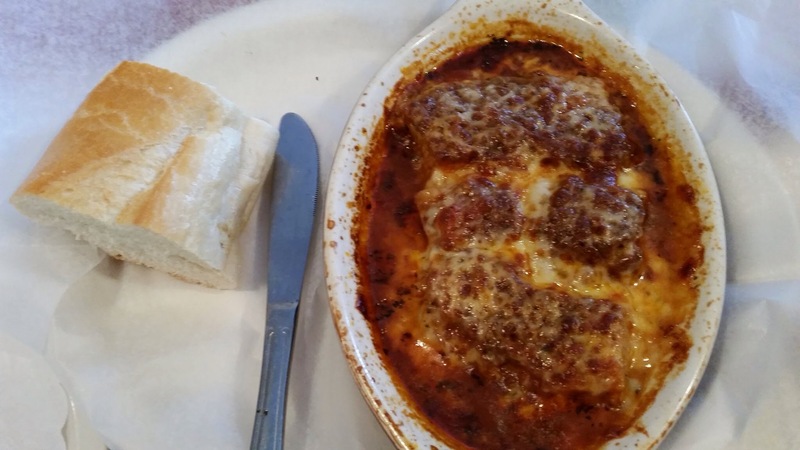 Lasagna – homemade meatless lasagna served with green salad & french bread. Did not try this dish but the French bread looked pale. And fundamentally I don’t understand meatless lasagna. I feel it takes away the flavor and the original point of a lasagna. A good lasagna should use a slow-cooked Bolognese sauce made with fresh tomatoes and 93% lean organic ground beef. 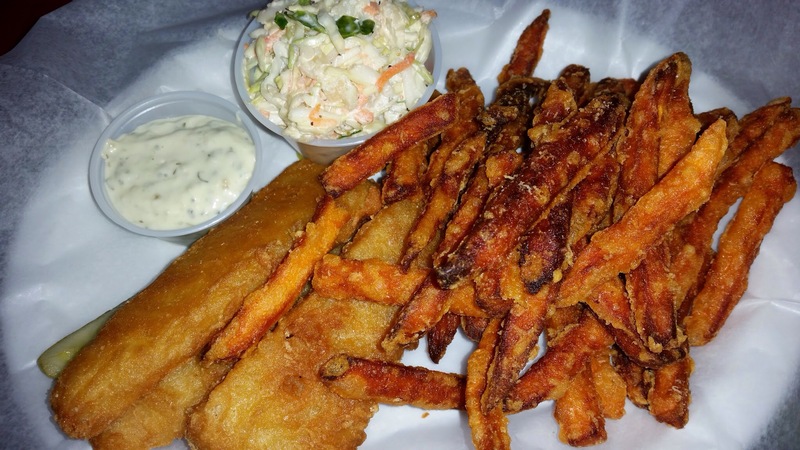 Fish & Chips – halibut batter dipped & deep fried served with sweet potato fries & cole slaw. The highlight of this dish is the sweet potato fries. There wasn’t any complaint from the eater. Nevertheless, the fried fish was repeatedly rejected by my one-and-a-half year old nephew. He is a picky eater and clearly knew what he was doing. 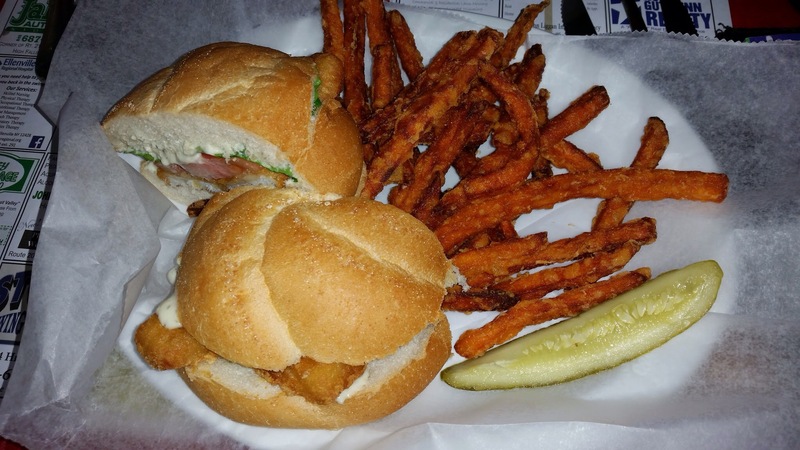 Fried Fish Sandwich – halibut batter dipped & deep fried with lettuce, tomato & tartar sauce on a hard roll. This is a variation of the fish and chip. All American Grilled Cheese with mozzarella cheese. Now I can tell you that this was completely mediocre. In fairness to Lydia’s, it’s difficult to make a grilled cheese outstanding if the ingredients are so common place. The grilled cheese was well executed and average. 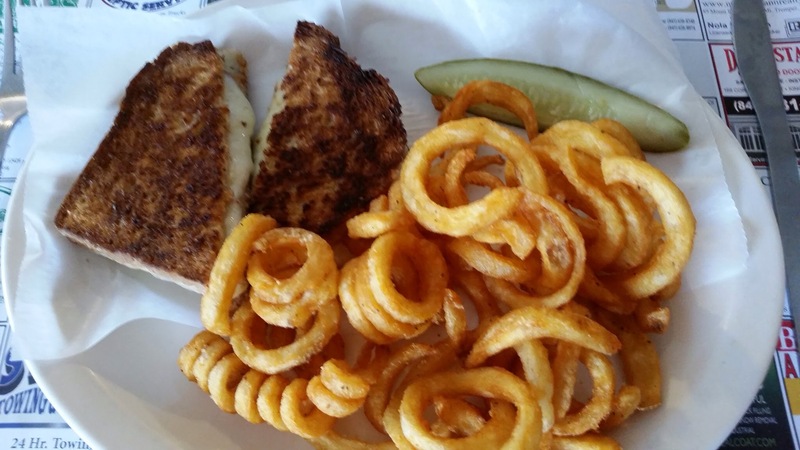 Chicken in a Basket – half chicken, honey dip batter, deep fried served with cole slaw & a pickle. The highlight here is the curly fries. 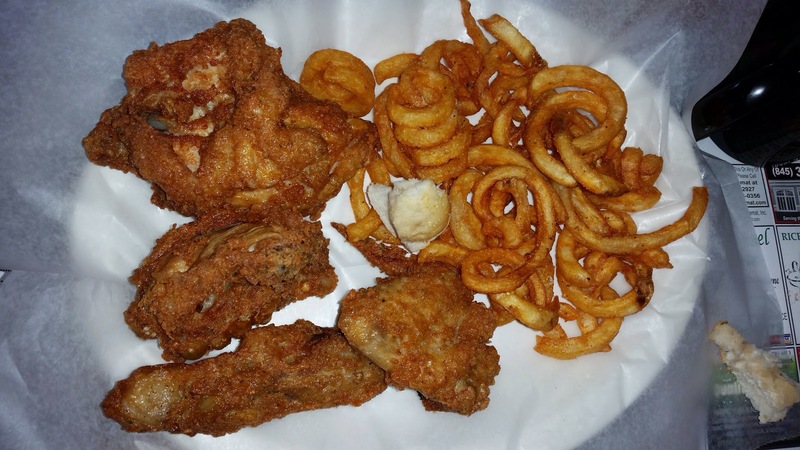 In fact, curly fries were the second highlight of the meal right after the caffeinated drinks. The fries were crunchy, crispy, fatty, and salted like all good fries should be. The curls made it fun for the one-and-a-half-year old. 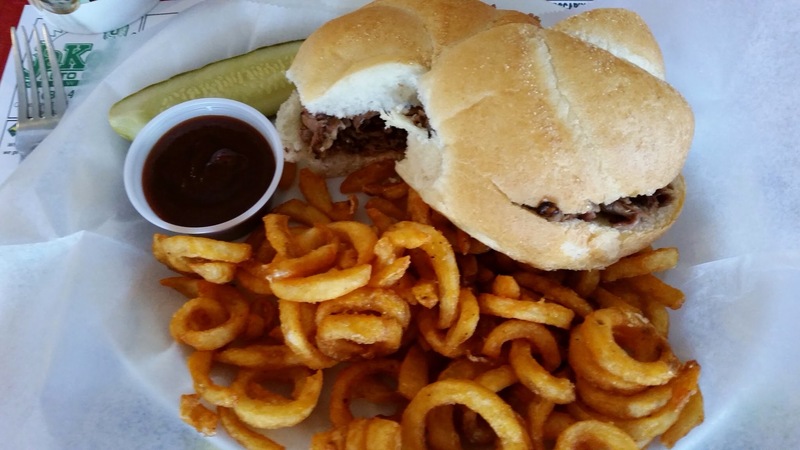 Texas Style Smoked Brisket Sandwich – this was mine. The meat was dry and the taste of the smoke had not gone into the brisket, placed within the two buns which were proportionally too big. Dry meat on dry buns does not make a good sandwich. It was not satisfying and instead I focused on my curly fries and the conversation. 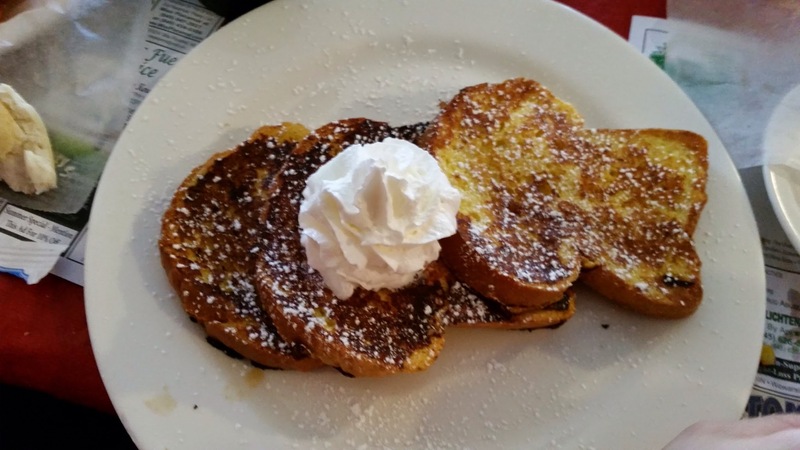 French Toast – My nephew loved this dish. He dug in with enthusiasm and cried out when his parents wanted him to slow down. Did not try it and cannot comment on the taste. Beignet – This was a surprise. The chef came out and gave us complimentary dessert. 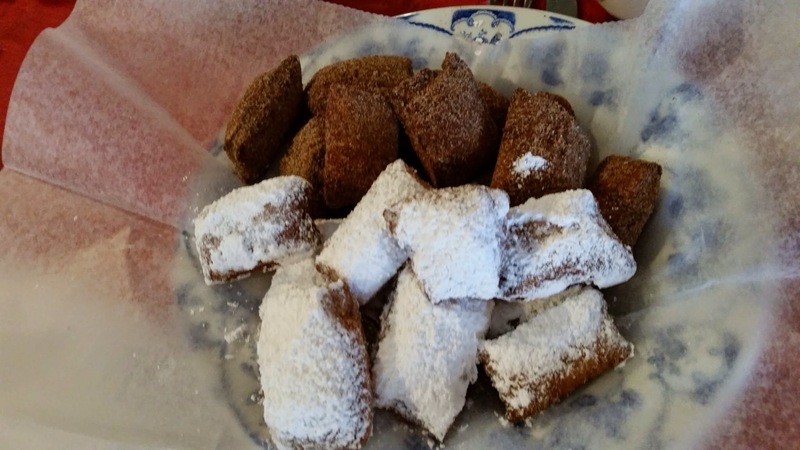 The beignets were warm and sweet. And fried. I was not a fan. It was a little greasy and the texture was only slightly better than that of Dunkin Donut’s munchkins. The powder sugar on top of the grease only served to cover up the oiliness. This was too much fried food for my system. But the beignets made some other people very happy. We even took the rest home. For upstate New York, among farm houses and live stocks, Lydia’s delivered enough of the metropolitan flare for those of us who cannot bear leaving the civilization. Stick to simple things, like curly fries and coffee, then you will be fine. Enjoy the temporary serenity food brings.